The trouble with most t-shirts is that they DON'T allow you to peer inside your body at all the gloopy and pulsating organs within. 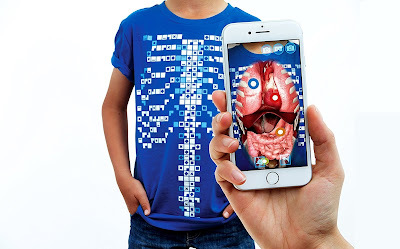 So thank all the gods for the wonder that is Virtuali-Tee, a t-shirt that uses augmented reality on an accompanying smartphone app to reveal what's going on inside you. We liked it so much we made a little video about it.